Damascus, SANA- President Bashar al-Assad has said that with every move forward for the Syrian Army, and for the political process, and for the whole situation, forward in the positive meaning, towards more stability, our enemies and our opponents, mainly the West led by the United States and their puppets in Europe and the region, with their mercenaries in Syria, they try to make it farther, either by supporting more terrorism, bringing more terrorists to Syria, or by hindering the political process. In an interview given to RT, President al-Assad added that after the liberation of Aleppo and later Deir Ezzor, and before that Homs, and now Damascus, actually the United States is losing its cards where the main card was al-Nusra that was called “moderate.” But when the scandal started leaking, that al-Nusra is part of Al Qaida that was supposed to be fought by the United States, they looked for another card. This card is the SDF now. President al-Assad said: We’re going to deal with SDF by two options: the first one, we started now opening doors for negotiations, this is the first option. If not, we’re going to resort to liberating by force, to liberating those areas by force. We don’t have any other options, with the Americans or without the Americans. The Americans should leave; somehow they’re going to leave. They came to Iraq with no legal basis, and look what happened to them. They have to learn the lesson. Iraq is no exception, and Syria is no exception. People will not accept foreigners in this region anymore, President al-Assad added. Question 1: Mr. President, thank you very much for inviting us here, for giving us this opportunity, having spent years now traveling to and through Syria reporting from here, it is an honor to finally meet you. But, Mr. President, since time is short, first question: your latest victories in Ghouta, in Yarmouk, they have drastically changed the situation on the ground in Syria. How much near the end of this war are we now in your estimation? President Assad: First of all, you’re most welcome in Syria. With every move forward in the battlefield, with every victory, with every liberated area, we are moving closer to the end of the conflict, and I always said without external interference it won’t take more than a year to settle the situation in Syria. But at the same time, with every move forward for the Syrian Army, and for the political process, and for the whole situation – forward in the positive meaning, towards more stability – our enemies and our opponents, mainly the West led by the United States and their puppets in Europe and in our region, with their mercenaries in Syria, they try to make it farther, either by supporting more terrorism, bringing more terrorists coming to Syria, or by hindering the political process. So, our challenge is how can we to close this gap between their plans and our plans, and I think we are succeeding in that regard, but at the same time, it’s difficult for anyone to tell you when. But it is getting closer, that’s self-evident. Question 2: Your latest military victories, they have been – objectively speaking – spectacular; the speed at which rebel defenses that have withstood for years have collapsed. Are you planning on retaking all of Syria by force? We’re talking about Idleb, the borders with Israel, SDF-controlled territories. President Assad: The war is the worst choice. I think every Syrian agrees upon this fact. But sometimes you only have this choice, especially when you talk about factions like Al Qaida, like ISIS, like al-Nusra, and the like-minded factions – actually most of them have the same ideology; Jaish al-Islam, Ahrar al-Cham, and so on – they’re not ready for any dialogue, they don’t have any political plan; they only have this dark ideological plan, which is to be like any Al Qaida-controlled area anywhere in this world. So, the only option to deal with those factions is force. At the same time, in other areas, we succeeded by implementing reconciliations, especially when the community in those different areas made pressure on those militants to leave those areas. So, I think the best choice is to make reconciliation. This is our plan. But when it doesn’t work, the only method to resort to is the force. Question 3: With regards to reconciliation, how wise is it to send all of these veteran jihadists with their small arms to Idleb? By now, tens of thousands have gone to Idleb, they have consolidated, they have built defenses. Eventually, as you say, you’ll have to fight them. On the other hand, are you perhaps planning on building an area that is outside of government control? President Assad: Actually, we always say we’re going to liberate every area, so it’s impossible for us to intentionally leave any area on the Syrian soil outside our control as government. This is natural. And as you know, Idleb was captured by the terrorists in 2015 with the Turkish support. 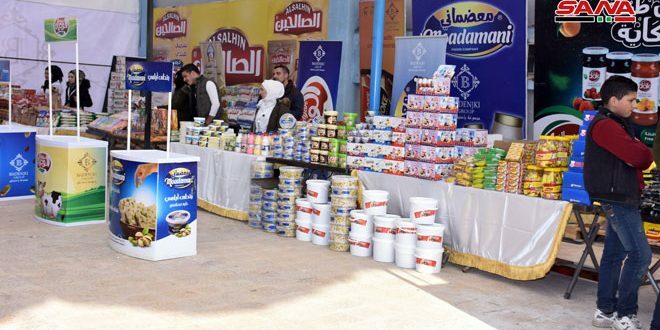 It was mainly captured by al-Nusra and some other supportive factions. Actually, we started the reconciliations before that time, but every reconciliation that happened after that time, after 2015- it was, I think, May 2015- every faction wanted to leave the city or the village, they choose to go to Idleb. This is a very good indication that they have the same ideology, because they choose to go to al-Nusra area, they didn’t choose to go to any other area. 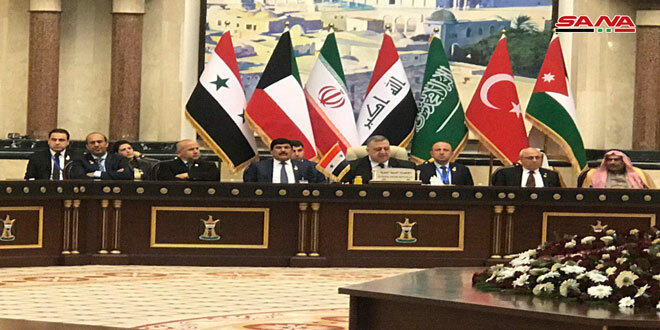 So, we didn’t send people to Idleb; they wanted to go there, because they have the same incubator, they have the same atmosphere, way of thinking, and so on. This is one part, the other part, which is the military aspect of your question; the plan of the terrorists and their masters was to distract the Syrian Army by scattering the different units all over the Syrian soil, which is not good for any army. Our plan was to put them in one area, two areas, three areas. Let’s say, if you have two or three or four frontiers, better than having tens, or maybe more than one hundred frontiers at the same time. So, militarily, it is better. They chose it, but it’s better for us from the military point of view. Question 4: On the other hand, talking about similar mindsets, Idleb is predominantly… the rebels there overwhelmingly are Sunni. As a Sunni myself, I have a long distant relative who came to Syria to fight against you, to resist you, because he was told that you were targeting… you were killing Sunnis, and that is what many people in Idleb believe. Why is it that so many people in all these different countries, in America, in Russia, these Sunnis, these Muslims, they believe that you are oppressing them? 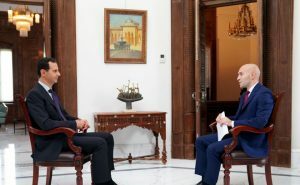 President Assad: Because the first narrative when it started, internationally – mainly in the West, of course – and within Syria and in some mainstream medias in our region and in the West, their plan was to create this rift within the society. That will make things easier for them; “when you have such a civil, kind of civil war between sects or ethnicities,” and it failed. Now, they keep using the same narrative, at least to encourage some fanatics in different places in the world to come and defend their “brothers” in this area, because that’s how they imagine; they imagine that there is conflict between sects. So, because of their narrow-minded way of thinking, maybe, or their ignorance, they came here just to support their “brothers”. Now, if I’m going to tell you this is right or wrong, your audience doesn’t’ know me, they don’t have any idea maybe about my credibility, but I’ll tell you, you know Syria very well, it’s better to go and see the reality on the ground. Now, if there’s such a narrative, let’s say, in reality, sect killing another sect, Syria should be divided now according to sectarian lines. You should come to this area under our control and see one color or a few colors of the Syrian society, you should go to the other area where you have the terrorists, you should have different colors, and the reality is not like this. Now, in Damascus, in Aleppo, in Homs, in every area under the Syrian government’s control, you’ll see every spectrum of the Syrian society, with no exceptions. So, this reality will debunk this narrative. I mean, how could they live with each other while the government is killing them according to sectarian basis? It doesn’t work. Question 5: Fair enough, but with regards to negotiations and reconciliation, there have been efforts to start talks to achieve a result in Geneva, in Astana. There has been limited success, but it hasn’t been all that great. Now, let’s be honest, you’re winning, you’re winning on the ground, your forces are advancing, the rebels are in retreat. Why would you negotiate with them now, that they’re losing? President Assad: Since the very beginning, we said whenever we can save Syrian blood, we have to go forward and deal with any initiative, any kind of initiative, even if they have bad will. Some initiatives have bad will, but in spite of that, we dealt with them. And the reality now, if you go around Syria, the reality, the results that’s been embodied by the reconciliations is proof of what I’m saying. Without this policy, without this intention of saving blood, negotiating, talking to people, we couldn’t have reached these reconciliations. This is one thing. The other thing, not everyone who fought the government have the same basis; some of them have ideological background, some of them for financial background, some of them they made a mistake in the very beginning, they were forced to go in that direction, and they couldn’t withdraw, so you have to open the doors, and you have to distinguish between different kinds of people. And the most important than this, is the majority of the people who were against the government – apparently – in the different liberated areas, actually, in their hearts they are with the government, because they could tell the difference between having government and having chaos. Question 6: Well, with regards to talks and, you know, retaking areas by force, let’s take for example SDF-controlled territories in Deir Ezzor. There have been clashes there between troops who are loyal to you and the SDF itself, the United States’ partners, and the United States brought to bear force, to stop troops loyal to you from taking territories. This has happened with al-Tanf as well. How are you going to deal with the United States’ presence, military presence, in Syria? President Assad: After the liberation of Aleppo and later Deir Ezzor, and before that Homs, and now Damascus, actually the United States is losing its cards. The main card was al-Nusra that was called “moderate.” But when the scandal started leaking, that they are not moderate, they are Al Qaida that was supposed to be fought by the United States, they looked for another card. This card is the SDF now, because when as it seems, as you just mentioned, we are moving forward in the different areas to defeat the terrorists, the only problem left in Syria is the SDF. We’re going to deal with it by two options: the first one, we started now opening doors for negotiations, because the majority of them are Syrians, and supposedly they like their country, they don’t like to be puppets to any foreigners, that’s what we suppose, so we have the same basis. We all don’t trust the Americans for decades, not because of the war, because they always say a thing and do the opposite, they tell daily lies. So, we have one option is to live with each other as Syrians, like forever. This is the first option. If not, we’re going to resort to liberating by force, to liberating those areas by force. We don’t have any other options, with the Americans or without the Americans. We don’t have any other option. So, this is our land, it’s our right, and it’s our duty to liberate it, and the Americans should leave, somehow they’re going to leave. They came to Iraq with no legal basis, and look what happened to them. They have to learn the lesson. Iraq is no exception, and Syria is no exception. People will not accept foreigners in this region anymore. Question 7: But with regards to retaking territories, it seems inexplicably whenever you eliminate one threat, say, be in Ghouta, another threat seems to materialize, and this has happened repeatedly. Now, we have the Israeli energy minister who is threatening that his country could, quote, “liquidate you and your government.” Are you afraid, and how do you take that threat? President Assad: Since we were born – I’m talking about my generation and most of the generations now in Syria – we lived under the threat of the Israeli aggression. This is something in our unconscious feeling, so to say that you’re afraid while living with the same threat for decades, this is nonsense. The Israelis have been assassinating, killing, occupying for decades now, for around seven decades, in this region, but usually they do all this without threatening. Now, why do they threat in this way? This is panic, this is a kind of hysterical feeling, because they are losing the “dear ones,” the dear ones al-Nusra and ISIS, that’s why Israel is panicking recently, and we understand their feeling. Question 8: Well, Israel is now seemingly striking across Syria, airstrikes, at will. They’re boasting publicly on camera again and again that your defenses, they’re powerless to stop them, that they can do in Syria whatever they want. Is that true, is there anything you can do to stop Israel carrying out its airstrikes in Syria? 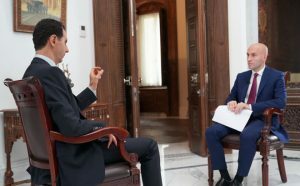 President Assad: Actually, the first target of the mercenaries in Syria was the air defense, before attacking any other military base, it was the air defense, and you would be surprised at that time; why do they attack the air defense? The air defense will not deal with the “peaceful demonstrators” as they say or the “moderate forces,” and it cannot deal with extremists anyway. It’s another thing, it’s built to defend the country. This is the other proof that Israel was in direct link with those terrorists in Syria. So, they attacked those bases, and they destroyed a big part of our air defenses. Now, in spite of that, our position, let’s say, our air defense is much stronger than before, thanks to the Russian support, and the recent attacks by the Israelis and by the Americans and British and French proved that we are in a better situation. Now, my answer to your question, the only option is to improve our air defense, this is the only thing we can do, and we are doing that. Question 9: Israel says that its strikes are, so far, that they aren’t targeted against you, the President or the government, that they’re targeted at Iran, and they’re to keep Iran – which is your ally – weak in Syria. It’s strange, but Iran being here, they are your allies, it’s no secret, they have helped, but them being here now puts you at threat. Would you ever consider asking Iran to leave? President Assad: The most important fact regarding this issue, is that we don’t have Iranian troops. We never had, and you cannot hide it, and we’re not ashamed to say that we have, like we invited the Russians, we could have invited the Iranians. We have Iranian officers who work with the Syrian Army as help, but they don’t have troops. And the starkest fact about their lies about this issue, the Iranian issue, that the recent attack a few weeks ago, they said that they attacked Iranian bases and camps, as they said, allegedly, and actually we had tens of Syrian martyrs and wounded soldiers, not a single Iranian. So, how could they say that we have it? So, it’s a lie. We always say that we have Iranian officers, but they work with our army, we don’t have troops. Question 10: Changing subject now, with regards to chemical attacks. There are now regular alleged chemical attacks happening in Syria. Your government and your allies have said that you had nothing to do with this. Your allies have backed your claims, denying any responsibility, saying they have no knowledge of you carrying out these attacks. The question is: in whose interest is it to gas opposition to you? 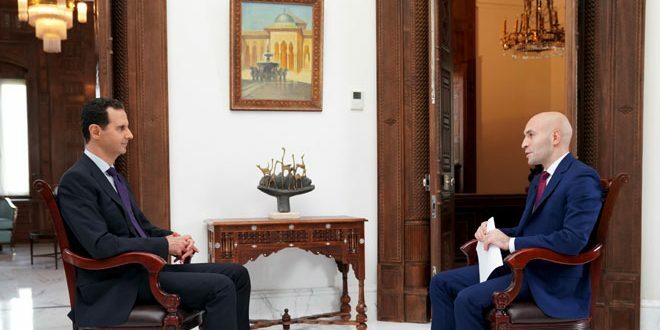 President Assad: That is the most part of the answer: in whose interest? That is the question. Is it in our interest? Why, and why no? Because the timing of this alleged strike was after the victory of the Syrian troops in Ghouta, let alone the fact that we don’t have chemical weapons anyway, and let the other fact is that we are not going to use it against our people, because the battle in Syria was about winning the hearts of the civilians, this is the main battle, and we won it. So, how can you use chemical weapons against civilians that you want them to be supportive to you? This is first. Second, if you want to use it, let’s suppose that you have it and you want to use it, do you use it after you finished the battle, or before, or during? It’s not logical. Second, if you go to that area, it was a very cramped area by armies, by factions, and by civilians. Whenever you use such armaments or weapons in that area, you’re going to harm everyone, something that didn’t happen. And if you go to that area and you ask the civilians, there was no chemical attack by anyone. Even the Western journalists who went there after the Ghouta was liberated, they said “we asked the people and they said we didn’t see any chemical attack.” So, it was a narrative, it was just a pretext in order to attack Syria. Question 11: Well, it may have been a pretext, but we don’t have proof that, you know, even we have rumors on Twitter, a few videos of… confusing videos showing allegedly the aftermath of an attack, is enough to justify for the United States, its allies, launching cruise missiles at Syria. What if, conveniently, there is another attack, alleged attack? Could there be a lot more missiles aimed at Syria? President Assad: Of course, it could, because when the Unites States trampled over the international law, on daily basis sometimes in different areas for different reasons, any country in the world could have such an attack. What’s the legal base of this attack, what’s the legal base of their aircrafts, with their alliance, the so-called “anti-terrorist alliance” that supports the terrorists actually, what’s the legal base of that alliance? Nothing. What’s the legal base of the attack in Yemen, in Afghanistan, on the borders with Pakistan, etc.? There is no legal base. So, as long as you don’t have an international law that could be obeyed by the United States and its puppets in the West, there is no guarantee that it won’t happen. That happened a few weeks ago, and it happened last year, in April 2017, and that could happen anytime, exactly, I agree with you. Question 12: But the response Trump promised was going to be extreme and severe, according to his words early on. The response that we saw, the strike that we saw after the latest alleged chemical attack was, it seems to be much more symbolic, much smaller in scope, and there was unexpectedly again a delay when Trump promised the attack and when it came. Why was there a delay? Did it have something perhaps to do with Russia? President Assad: It has two aspects, as we saw it. The first one is they told a story, they told a lie, and the public opinion around the world and in the West didn’t buy their story, but they couldn’t withdraw. So, they had to do something, even on a smaller scale. 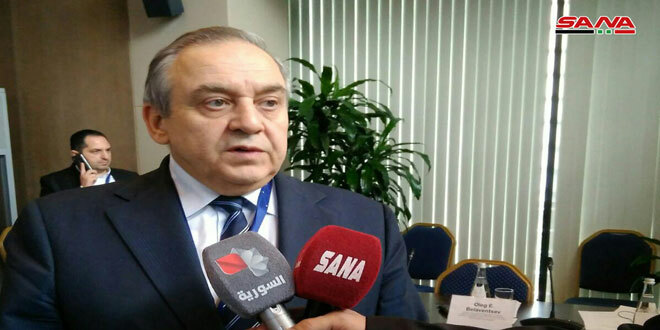 The second issue is related to the Russian position, that time, as you know, that the Russians announced publically that they are going to destroy the bases that are going to be used to launch missiles, and our information – we don’t have evidence, we only have information, and those information are credible information – that they were thinking about a comprehensive attack all over Syria, and that’s why the threat pushed the West to make it on a much smaller scale. Question 13: Well, with regards to the United States’ relation towards you, President Trump has called you, quote, “Animal Assad.” Do you have a nickname for the US president? President Assad: This is not my language, so, I cannot use similar language. This is his language. It represents him, and I think there is a very known principle, that what you say is what you are. So, he wanted to represent what he is, and that’s normal. Anyway, it didn’t move anything, and this kind of language shouldn’t move anything for anyone. The only thing that moves you is what people that you trust, people who are level-headed, people who are thoughtful, people who are moral, ethical, that’s what should move anything inside you, whether positive or negative. Somebody like Trump will move nothing for me. Question 14: With regards to the United States’ presidency, there is an interesting thing, you know, I came up with, thought up of a while ago; there are now in Syria forces from five nuclear powers, five nuclear powers directly engaged in military operations in Syria, be it boots on the grounds or airstrikes. Some of those countries are on different sides. How Syrian is this civil war still? President Assad: The word “civil war” has been used widely since the beginning of the conflict in Syria, even by our friends, and by our allies by mistake, without understanding the content of this meaning. 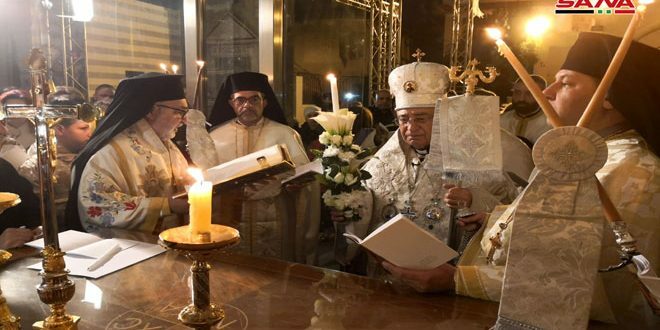 Syrian “civil war” means there are sectarian lines based on either ethnicities or sects or religions or maybe political opinion or political currents, let’s say, something we don’t have in Syria. In reality, in the area controlled by the government, which is now the majority of Syria, you have all these diversities. So, the word “civil war” is not correct. What we have actually from the very beginning are mercenaries, Syrians, and foreigners being paid by the West in order to topple the government. This is the reality, the mere reality, the very stark reality. Everything else is just masks to cover the real intentions. Talking about political differences, moderates, peaceful demonstration; we don’t have civil war in Syria. If we had civil war for seven years, we should have been divided by now. You cannot have one country, united country, united society, it’s not geographically because now of the Unites States’ puppets and the Turkish puppets. If there were a civil war, then you should have a divided society. Go by yourself, deal with different spectrums of the Syrian society, and you can answer that question in the same way I’m answering it. Question 15: But with regards to potential escalation. Okay, there are proxy forces from all these five nuclear powers, as well as the other forces engaged in Syria, but you, as the President, again, you must have information. How close have we come during this civil war… during this war to an escalation between these nuclear powers? 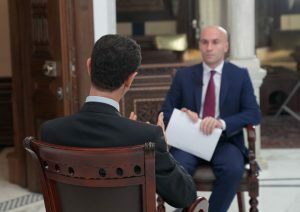 President Assad: In reality, we were close to have direct conflict between the Russian forces and the American forces, and fortunately, it has been avoided, not by the wisdom of the American leadership, but by the wisdom of the Russian leadership, because it is not in the interest of anyone, anyone in this world, and first of all the Syrians, to have this conflict. We need the Russian support, but we need at the same time to avoid the American foolishness in order to be able to stabilize our country. Question 16: And just briefly, one last question. The closer we get to the end, is the danger of an escalation, in your estimation, is it decreasing or is it, on the other hand, increasing? President Assad: As I said at the very beginning, the more we get closer to the end, the more they want to make it farther. What does it mean? The more stability you have, the more escalation we will have. The more reconciliation you have in one area, the more killing and destruction and trying to capture more areas by the terrorists we’ll have. That’s why within the reconciliation, when we started reconciliations in many areas, the other factions in the same area tried to destroy it, because they have the orders from the outside not to go toward any reconciliation, of course, you have the orders with the pocket of money. So, what you say is correct, but the more escalation we have, the more determined we’ll be to solve the problem, because you don’t have any other choice; either you have a country or you don’t have a country. Journalist: Mr. President, thank you very much for your insights, and thank you very much for welcoming us here and giving us so much of your time. We wish you all the best, the Syrian people all the best, and a swift conclusion to this awful conflict. Thank you very much, Mr. President. President Assad: Thank you, thank you for coming to Syria again.